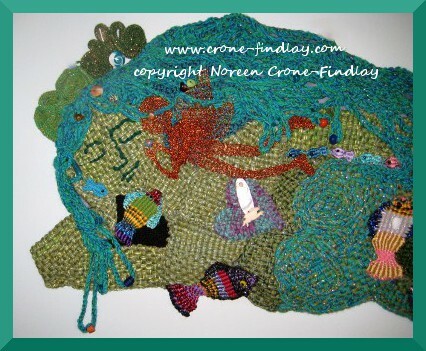 Even though I haven’t been posting about my solo show of tapestries and woven works (Woven Women) that is opening in August 2014 (eep…. tick tock, tick tock…. eep), I have been working away on new pieces for it. I noticed that the Tapestry weaving group on Ravelry (the facebook of the fibre arts world) is having a weave along in which people are weaving ‘Tapestry Diaries’. That means that they are weaving daily, weekly or monthly, on pieces that reflect their lives in those given moments. I have wanted to do this for several years, but just have never started one…. until, the other day, I had an ‘Aha!’ moment. I have been contemplating a series of small woven figures- I’ve woven the faces for them, but haven’t started the bodies. It struck me that weaving the bodies for these figures would work beautifully as a Tapestry Diary. I got all excited about doing this, and then took the plunge and asked the moderator if I could join, even if I am late to the party. She graciously said that I could, and so I am! I love that the online community creates ‘Virtual Guilds’ with members from all over the planet inspiring and encouraging each other. It’s just awesome. I decided to warp up my 8 inch Mirrix tapestry loom to get started, but I can see that I may want to warp up my 16 inch Mirrix for this, too. Some people choose to weave very specific shapes in their tapestry diaries, like little squares or rectangles, that are quite uniform in size. I have decided that my shape is going to be one that I have loved working with over the decades. It’s an hourglass motif that has shown up in embroidery, weaving, stitchery, stone and metal work for thousands of years. It’s sometimes called. ‘The Shepherdess’ motif. 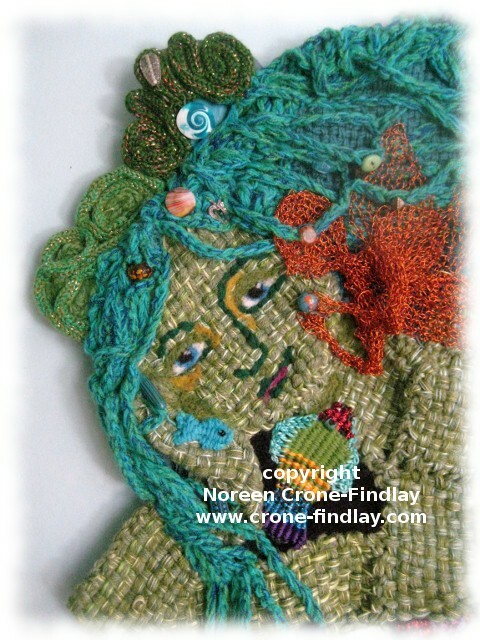 I chose to weave these figures in a fairly narrow configuration- only 3 inches wide, set at 8 ends per inch. 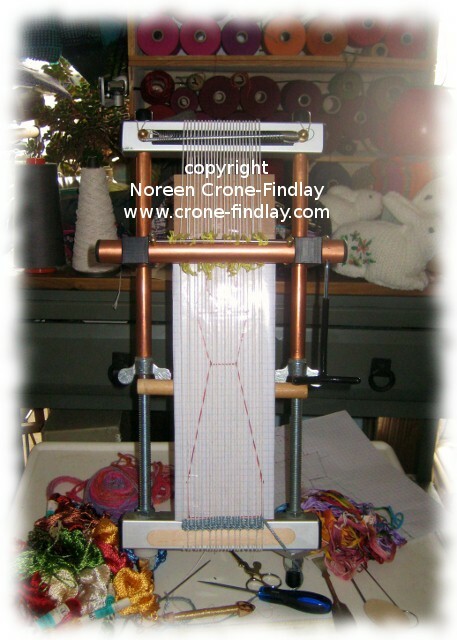 Here’s my loom warped up, heddled, and with the first little bit woven. I inherited my mother’s stash of embroidery floss and threads, and will be using them in this series.